Inverter Welders Are The Upgrade From The Standard Industrial Version- Portable, Lightweight, and Just As Powerful while using less power. Inverter welders are an improved version of the traditional welder. Not only are they smaller than traditional units, they are lighter which allows for portability. This also allows for usage in tight spaces where a traditional welder would not fit. In addition, this type of welder requires less power to operate. By design it utilizes a standard plug and steps that power up internally. These welders may also be run off of a regular generator rather than an industrial sized one. They are more tolerant of what is referred to as "dirty power" as well. Dirty power or low quality power, often can lead to poor welding jobs, improper operation and more time on a job. Inverted welders don't have this problem. A lot of experienced and professional welders are finding the inverter welder to be an asset to add to their arsenal of welder types. There are many reasons for this including their capability to internally step up power from a standard household current plug (120v) to 220v of power with only 120 volts of input. The traditional welder uses, typically, a 220v power input plug rarely found in shops and households (and smaller generator plugs available allowing for portability of welding work), which often costs more to install and even uses more in electricity than the 120 plug would use. It does this with internal circuitry and electronic components not found in other welder types so the cost is a bit more, but well worth it. Just the electricity you save alone for the same jobs can in time pay for the extra cost of the unit(s). The standard plug application on inverter welders offer the same power with less power input and it's more convenient, adding flexibility in where and what type of work you can perform with it. Nobody wants to have to tug around an industrial sized generator just to do a weld job off-site. The inverter technology steps 120v up to 220v without requiring more power. 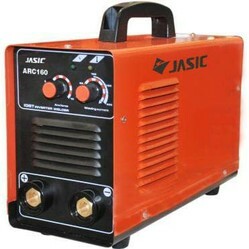 Let's talk about the various models and costs you can expect in finding a good inverter welder. On the left are several reviews for great inverter welders, on the right you'll find more choices as well. Century makes an Inverter Arc 120 stick welder, model K2789-1, for approximately $249. This model is a portable DC stick welder which weighs only 15 pounds so it can go anywhere you want it to. Features include a work clamp and 10 foot work cable in addition to a shoulder strap and 10 foot electrode holder. Materials up to 1/8" thick can be welded and are easily available.Lincoln Electric offers Fleetwood 47 Electrodes, model EDO31153, which runs about $34 for a one pound container. This wonderful little unit can be used to repair garden gates and bed frames as well as many other common household items and would be beneficial in any home. Thermadyne offers an Inverter Stick/TIG Welder 185 AC/DC, model ArcMaster 185 AC/DC. This is perfect for larger jobs. Features of this model include AC frequency which gives the welder control over the weld bead shape while AC balance allows the user to fine tune any AC welding cycle. The job save and load feature gives you the option of storing up to five exact optimized welding diameters which can easily be recalled through digital controls for perfect repeatability. This unit runs approximately $2800 and comes with plenty of accessories such as an argon regulator and foot control. Don't forget the Hobart welding sticks/rods, model 6013. This 10 lb. pack of 1/8" rods will run around $23. This model will be greatly appreciated in any auto repair shop. The inverter welder is always a smart choice for any size job (larger versions for bigger jobs) as it offers greater flexibility for the user. Not only can it be used in small places and run off of standard household voltage, it also saves on electricity bills. The only downside to this particular style of welder is increased cost over traditional welders as well as the fact that this welder has advanced controls which require more care than other styles. These are small downsides that can easily become upsides if your willing to learn the unit's many functions and versatility. 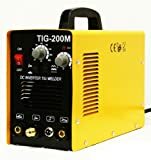 Another great thing about the inverter welder is it comes in a versatility of different types like Mig and Tig Welding models. Different models are more or less expensive allowing for more refinement where budgeting for the right welder is concerned.